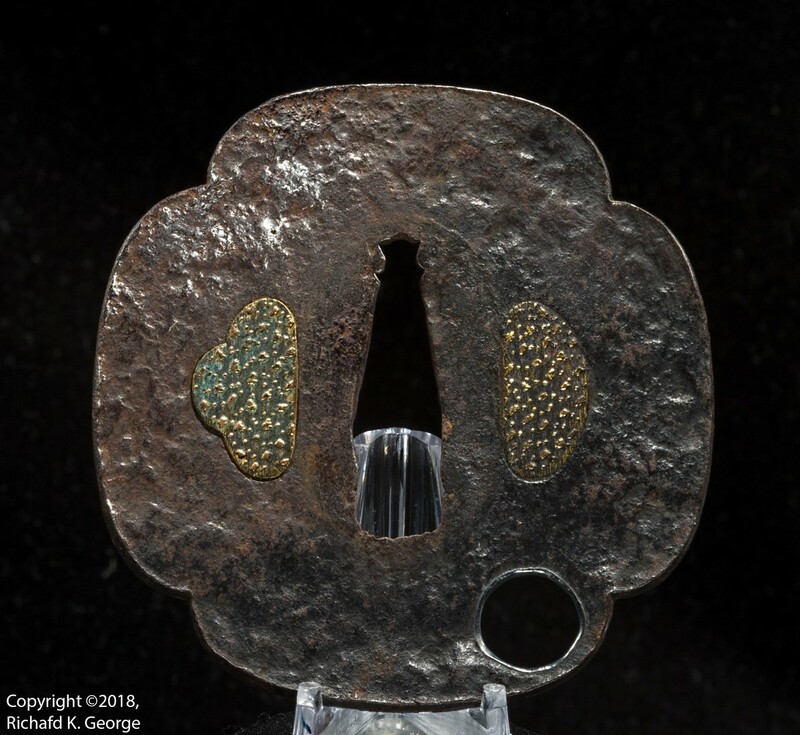 Iron plate of mokko-gata shape with well hammered surface. The mimi is slightly hammered. There are areas of remaining black lacquer. The large round opening at the bottom of the plate is lined with silver. 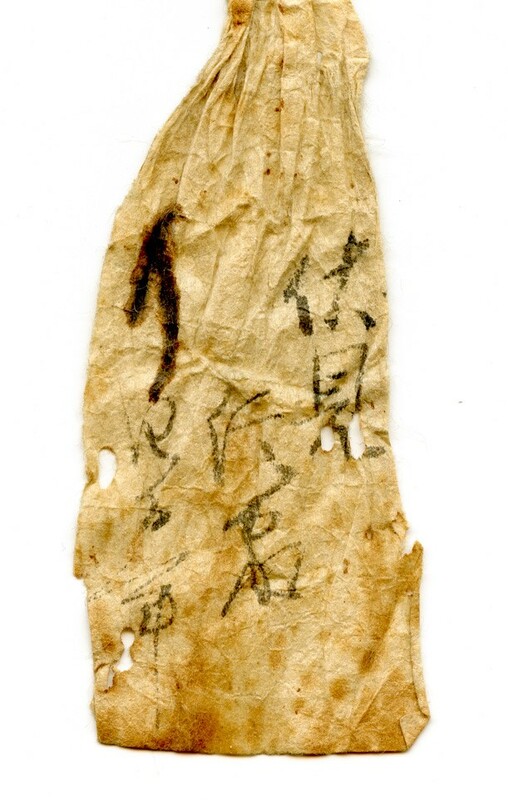 Possibly used as nudenuki. Both hitsu-ana are plugged having gold wash and lacquer remaining. Possibly made by a Myochin artist sometime before ca. 1600. 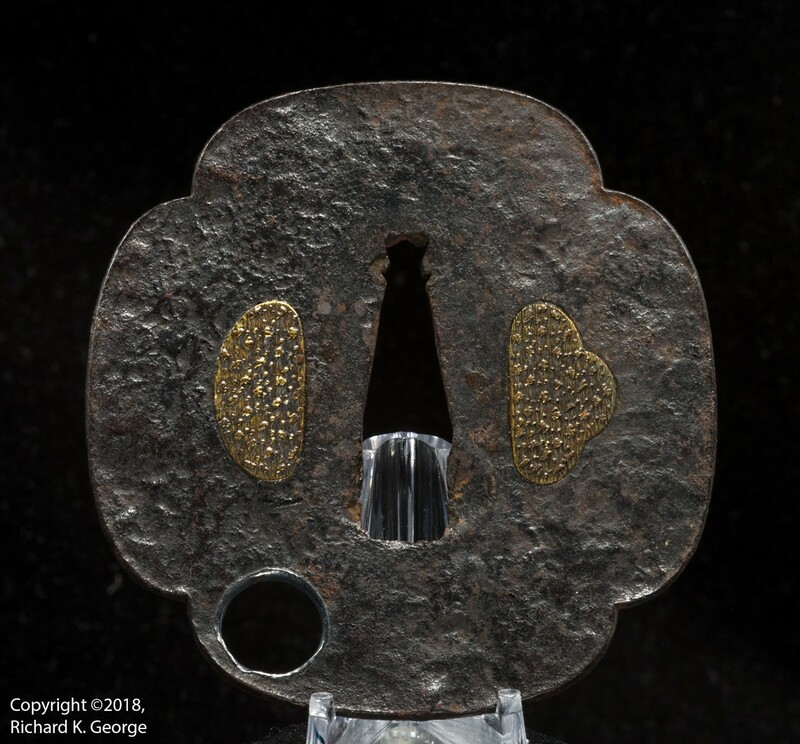 There is a small wrinkled piece of 'paper' with kanji accompanying this tsuba. The kanji on far right translate to 'Fushimi'. This possibly has something to do with the area of manufacture.